William Harvey "Billy" Lane Jr.
Patricia J. Garst, 81, of Glasgow, passed away peacefully Saturday, December 3, 2011, at the Bowling Green Medical Center. She was the daughter of the late James Lemuel and Hazel Morrow of Louisville, KY. She was a member of Glasgow Baptist Church for 39 years and sang in the church choir for over 34 years. She was a graduate of Valley High School in Louisville and a 1951 graduate of Louisville General Hospital School of Nursing, where she received her registered nurse diploma. She was later the school nurse for Murray State College while obtaining her B. S. degree; later teaching nursing at General Hospital and working at Central State Psychiatric Hospital. Mrs. Garst was a past officer of the Glasgow Garden Club and the Glasgow Musicale as well as an active past member of the Hart County Choir and the Ladies Auxiliary of T. J. Samson Hospital. She frequented many area churches over the years as a soloist, performing her last solo on Easter Sunday 2008 at the Glasgow Bible Church at the age of 78. Pat will always be remembered for her love of laughter and her ability to find humor in most any situation. She lived life to the fullest and was a wonderful Mamaw to her 8 grandchildren. 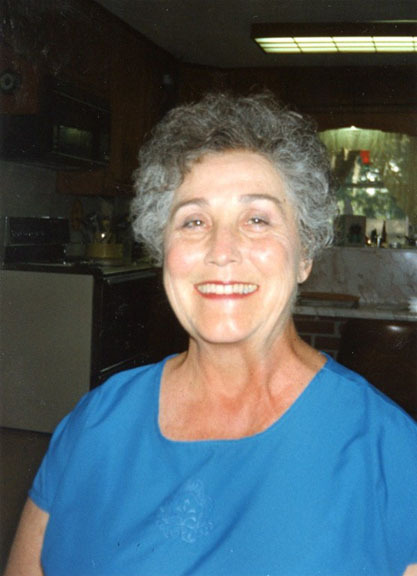 She is survived by her four children: Joseph R. Garst and wife Pam of Humboldt, TN, David G. Garst and wife Lisa of Glasgow, KY, Tamera J. Rahman and husband Aziz of Indianapolis, IN, and Jane M. Pratt and husband Randy of Lexington, KY; eight grandchildren, Sheri Anderson, Schyler Rahman, James Garst, Jenna Garst, Shelden Rahman, Collins Garst, John Garst, and Sabrina Rahman; one brother, Mr. Bruce Morrow of Louisville, KY. She was preceded in death by her husband of 36 years, Dr. Garland R. Garst as well as two brothers: Donald Morrow of Round Rock, TX and Max Morrow of Glasgow, and one sister, Louise Varner of Louisville, KY. The family would like to thank her current caregivers: Mary Staples, Shirley Crews, Barbara Chambers, Anna Pennington, and Rachel Rock. Funeral services will be held 11:00 a.m. Thursday, December 8, 2011, at the Hatcher & Saddler Funeral Home with a graveside service following at 3 p.m. at the Fairmont Cemetery in Central City, KY. Visitation will begin at 2 p.m. Wednesday at the funeral home. Alternate expressions of sympathy may take the form of a monetary gift to the Glasgow Musicale Endowment Fund, 200 Norris Court, Glasgow, KY 42141.